The culture of any environment is very important. It determines what’s acceptable and what isn’t. It sets the scene for how people might be treated and how their needs might be met. Real change happens at the culture level – those things that are difficult to put your finger on or explain to someone else. It might be the values that are played out through the people. It might be the atmosphere of the unspoken expectations or demands on someone. Or it might be the underlying beliefs, even if the words are contrary to those beliefs – the beliefs are what will shine through. I’ve been in many schools over the last six years and the culture is the first thing that hits me. Whether it’s the feeling of warmth and nurture you get from the receptionist or frontline staff, or the calm, uncluttered nature of the building. Sometimes of course you can sense the strict, business-like attitude in some schools, particularly Secondary schools. Some seem to think that once children reach the very serious age of 12 they need to be forced into straight-jackets of lines and rows and quietness. Whatever the culture is in a school, or any environment where children or young people are, you can guarantee the children feel it too. They know if it’s a warm, friendly place or a place where fun is in short supply. Of course, one teacher can make a difference in one classroom, but if the overall culture isn’t congruent with that teachers lovely nurturing nature than the inconsistency is stark for children. What I’ve noticed the most in some schools, and what must be so confusing for young people, is the huge differences in teachers’ attitudes and approaches to them. One teacher might seek to understand what’s behind their behaviour, whilst another focuses solely on that behaviour and treats the young person accordingly. How confusing must it be? And also what long term impact are we making on that young person’s identity? So, in this current climate, how do we create a culture for our children and young people that gives the biggest chance for whole development – emotional, social, physical, spiritual and intellectual? How can we create a culture that is pro-individuality, celebrates difference, and promotes community? Does the culture you are in day-in and day-out create a barrier to learning, or a wide open space for EVERY child and young person in your setting? We will explore some of these questions and more in this small guide. I hope it inspires you to look at your culture differently and to make some changes. 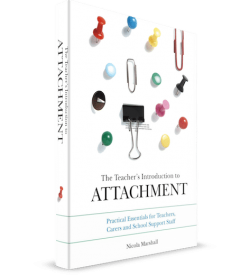 Before we dive in, I want to say a little something about the subject of Attachment and why we are talking about an Attachment focused culture. 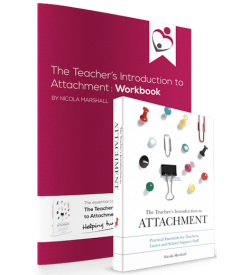 Attachment theory is about what happens in a child’s early development. Before the age of two, many of our experiences – good and not so good, have impacted the potential success of our future development. The brain is impaired if needs are not met adequately, the basic ability to trust and to empathise with others can be hindered, being able to regulate our own emotions becomes difficult, an intense feeling of shame drives our behaviour and a child may grow up obsessed with being able to survive, and as a result not be able to thrive. 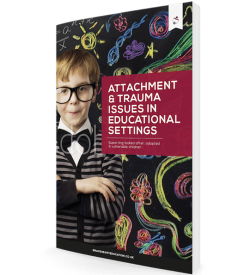 We often talk about children who’ve experienced trauma – been through the care system, or have lived in difficult home environments as having insecure attachments as a result. As mentioned above they are often the ones displaying difficult behaviours in the home or school environment. However, we ALL need secure attachments with others. We need to know we are important, valuable and worth the attention and affection of others. Being aware of ALL children’s underlying fundamental needs is essential to whole development. I have heard many times from schools that it’s so difficult to change their approach and systems for those few children and young people who are displaying difficult Attachment behaviour. And yes that’s true – we tend to become so reactive to those needs and behaviours that it is to the detriment of others’ learning, to the children themselves and also, the adults involved spend so long in the aftermath of that reactive behaviour. 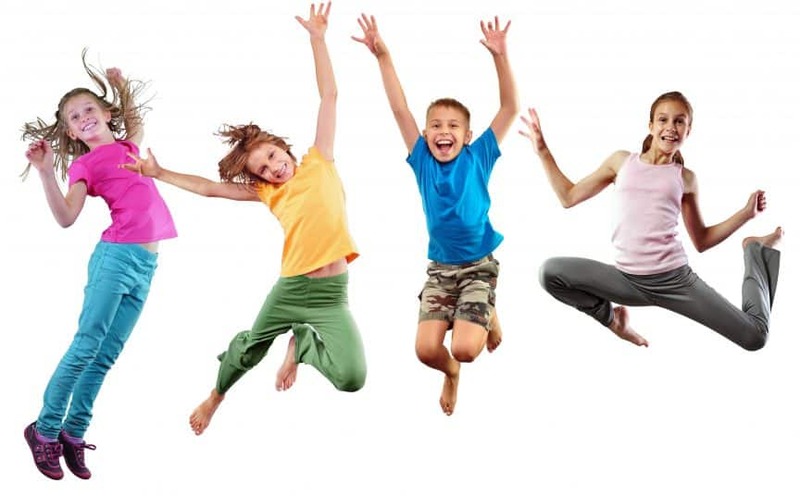 For some time now at BraveHeart Education we’ve been providing schools with strategies on how to manage that behaviour, on how to understand individual children and how to contain them. This may be through simple classroom strategies or appointing key adults for the child and changing some of our systems to create that wide open space for these children. We will continue to do this work as it’s important for these children, but also for school staff to have the tools needed to help and support certain individuals. BUT this book is about whole school change. It’s about flipping this reactive attitude on its head and not singling out the ‘disruptive’ child or young person. It’s about looking at how we can create a space for recovery for those who need it, but also to enhance the learning experience for those who are somewhere within the spectrum of Attachment, from secure to disorder. Perhaps it’s time we stopped trying to change each child and young person’s behaviour and look to change ourselves. If we could create the right atmosphere, environment – culture for children and young people to thrive, then we could potentially change the future of education. To express interest in this small guide send an email to team@bravehearteducation.co.uk.